For Lanyard Crafter to Make Craft Lanyards. We are industrial safety lanyard designer, manufacturer, distributor, wholesaler and retailer. We design and make safety breakaway plastic buckles or connectors for variety of safety applications and for lanyard crafter to make craft lanyards. 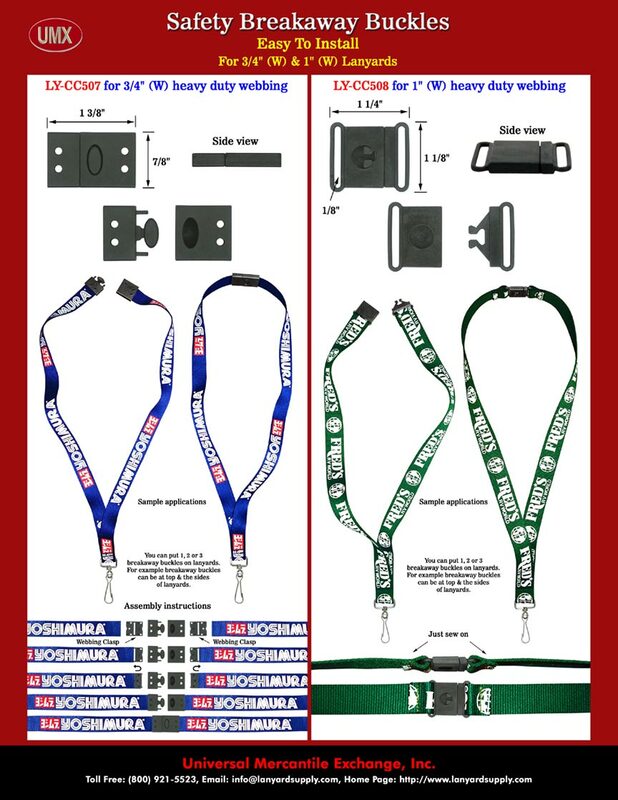 Safety Lanyard Hardware Accessories, Parts, Supplies: Safety Breakaway Buckles or Connectors with Craft Lanyards Making Instructions. We provide online step by step instructions of how to make your own safety craft lanyards easily. Depending on your applications, you can put one, two, tree or more buckles on your lanyard crafts. The safety break-away buckles can be detached and reconnected easily.